Being the independent creatures that they are, cats have their own mind. Unlike a pet dog, it may almost be an impossible task to set a daily exercise routine for your pet cat. This leaves our feline pets prone to a sedentary lifestyle that in turn entails several health concerns; obesity being a major one! Obesity, further, becomes a gateway for serious health issues like diabetes. 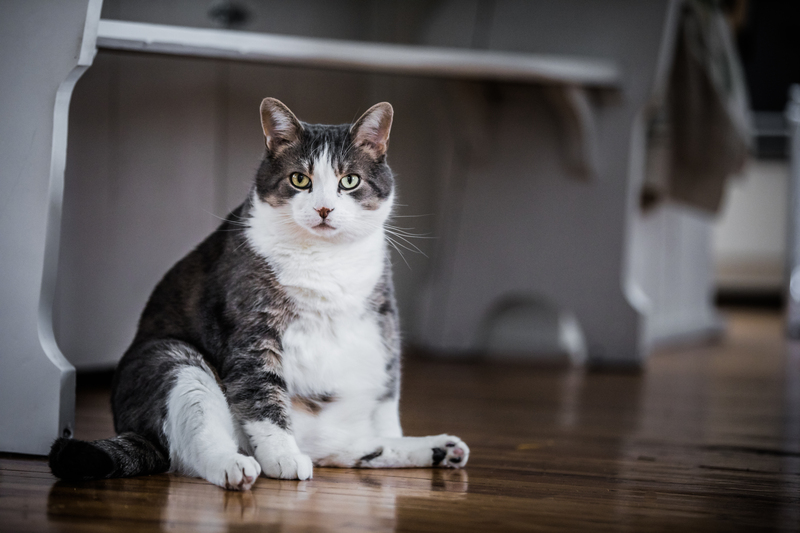 If you have begun to notice some weight gain in your cat or have been looking for a solution for your already obese cat, read on as we lay down 5 tips to aid weight loss in your cat! Treats, per se, are only an introduction to lure or discipline a cat. By nature, cats are meat eaters, period. They do not additionally require anything to sustain optimal health. Although effectively used as a medium to attain discipline, treats may have become a large part of the communication between your cat and you. What you can however do, is make better treat choices. There are several varieties of both best wet cat food for weight loss as well as best dry cat food for weight loss that can make for great substitutes! There is no doubt how protein accelerates weight loss. If you are looking for the best cat food for overweight cats, natural highest quality protein can be an excellent source. This source can be found in a wide array of tinned foods that mostly constitute the likes of tuna, chicken breast, and mackerel. Thus, you will not have to ponder a lot over what to feed cats and the best cat food for overweight cats given how these tinned foods are a common choice for many pet parents wanting their cat to lose weight. A sedentary lifestyle can not only lead to weight gain in a cat but over time also start affecting its cognitive abilities. An active lifestyle that includes a fair amount of play should be your objective as a pet parent. You could, in fact, even seek a professional to step in who can get your pet cat moving. Either at your own house or a designated place, cats can actually have a good time on their fitness journey. Ask your vet and you can choose from group activities for your cat too. If you think it will enjoy company as a positive distraction and are considering options on how to get a cat to lose weight with multiple cats group activities are a great choice! Setting goals can be extremely encouraging. To begin with, you can check out a cat weight loss calculator that helps you ascertain your cat’s new calorie intake and may also have a standard cat weight loss program. Taking one step at a time is the key to ensure a sustainable weight loss in your little feline baby! Now that your cat has a meal plan, the goals are set and it’s ready to play, it’s time to track! After having successfully decoded how to put a cat on a diet, tracking your pet’s success is the next best thing to follow suit. If all is on the right track, don’t forget to let your pet cat indulge in a cheat meal; after all, it has earned the indulgence! While you follow the above to ensure your cat’s successful journey bearing in mind a few general pointers like being in calorie deficits can support the process well. Finally, don’t forget to click that proud cat weight loss before and after picture, for you never know how it can inspire another Tabby!